Across the globe, migrants – men and women, the old and the young – are routinely deprived of their liberty. The problem is getting worse. States are holding people on the move for longer, and in greater numbers, than ever before. 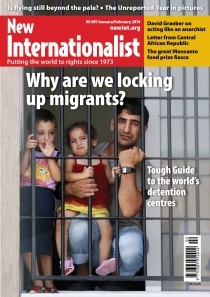 Between them, Europe and the US imprisoned close to 1 million migrants in 2011. This damaging, brutal and costly practise is spreading to new pastures – Indonesia, Mauritania, Ukraine – sponsored by the rich world. What can be done to stop detention? To ensure that migrants are welcomed – not imprisoned?